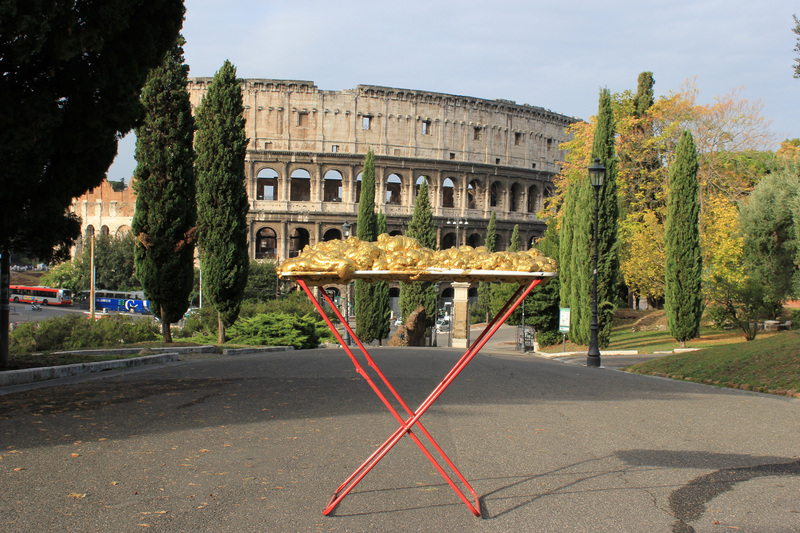 Renate Egger and Wilhelm Roseneder present their temporary installation in a street art project entitled “Goldene Erweiterung/Golden expansion” in public spaces around Rome. This project will be documented with photos and video to capture the reactions of the passers-by. 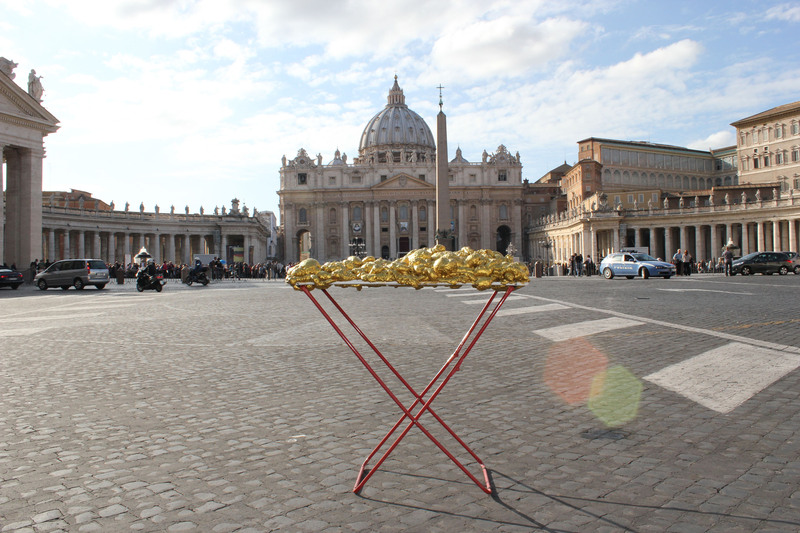 The airiel drier transformed in the sculpture “Goldene Erweiterung/Golden expansion” by Wilhelm Roseneder is returned to the street where this once-worthless object was found. 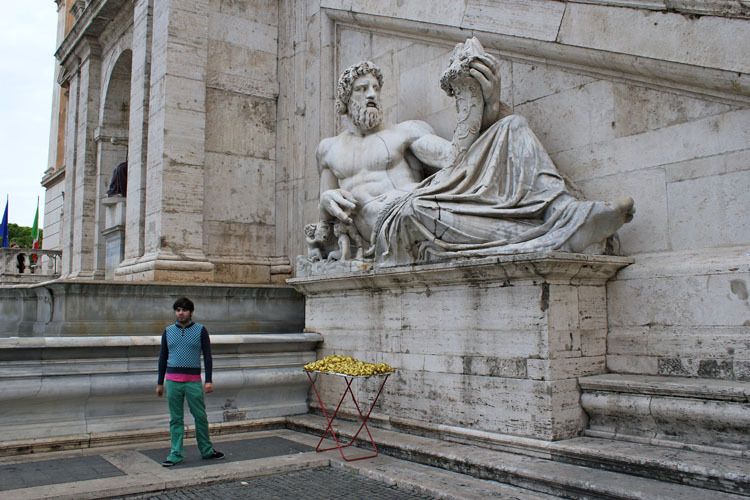 This artwork is brought to the street and to the public.